Looking for Organic Acid ? Puyang Huicheng Chem. Co., Ltd.
What is an Organic Acid? An organic acid is an organic compound having properties of acids. It is an acid occurring naturally in foods that contain carbon, for example acetic acid, citric acid, fumaric acid, lactic acid, malic acid, etc. Those organic compounds having functional group COOH behave like acids are also thereby termed as organic acids. An organic compound is any member of a large class of chemical compounds the molecules of which contain carbon. An acid (often represented by the generic formula HA) is traditionally considered any chemical compound that, when dissolved in water, gives a solution with a pH less than 7.0. Each type appears in salicylic acid (OHC6H4COOH). Water solutions of each type are weakly acidic. 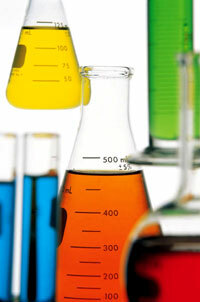 Phenol is also known as Carbolic Acid, Benzenol, Phenylic Acid, Hydroxybenzene and Phenic acid. 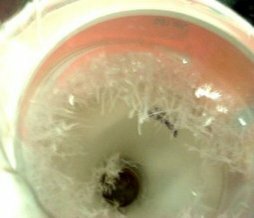 Organic acid reacts with sodium bicarbonate to release water and carbon dioxide. All organic acids except monocarboxylic acids are user-friendly. The low-molecular-weight monocarboxylic acids are primary irritants and cause severe damage to tissues. Strict precautions are necessary in handling this acid. Suitable protective equipment should be available for protection of the skin or eye while one works with this acid. The most important acids of this group are acetic acid and formic acid. Organic acids are used in some food items. For example vinegar is dilute acetic acid, which is used in many preparations for pickles, salads, sauces, etc. 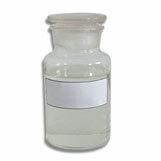 Acetic acid is also used for making cellulose acetate, which is an important starting material for making artificial fibers.